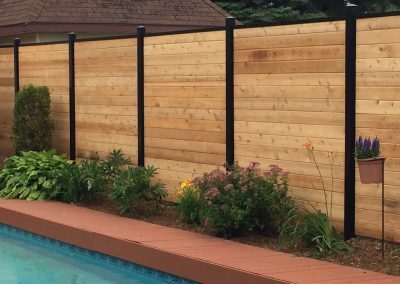 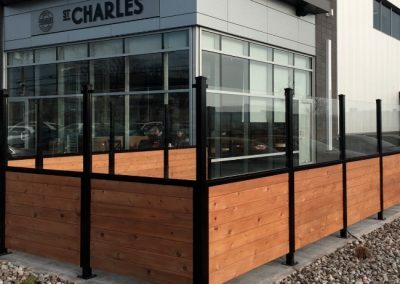 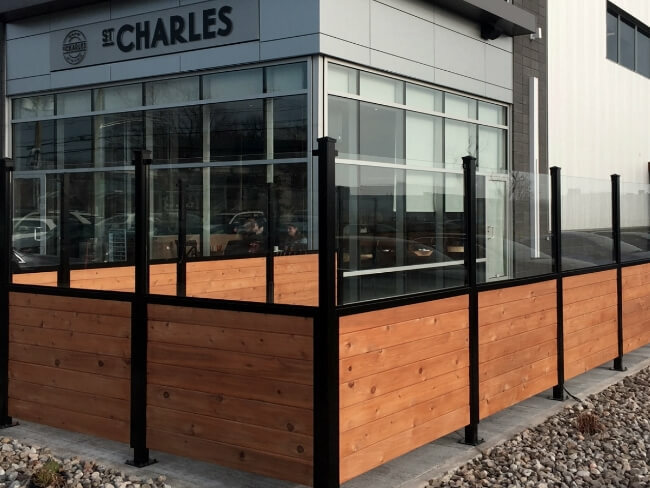 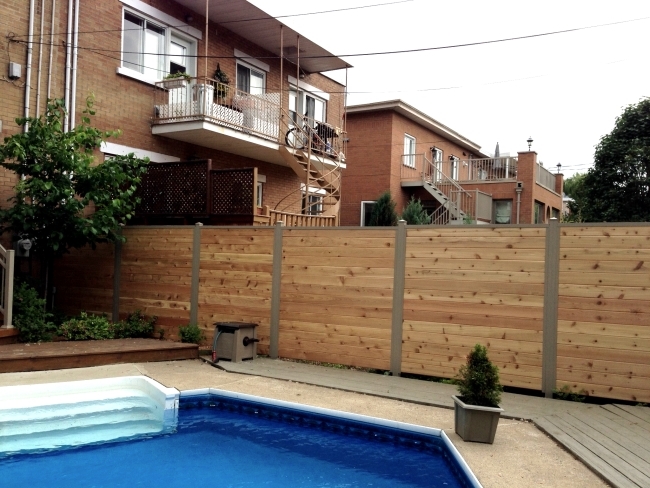 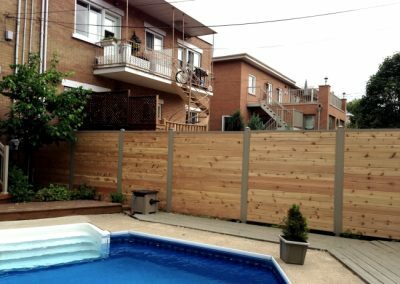 Wooden fence (Cedar) | Clôtures Frontenac Inc. 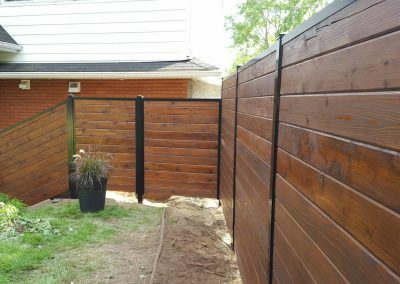 Wooden fence (Cedar) | Clôtures Frontenac Inc. 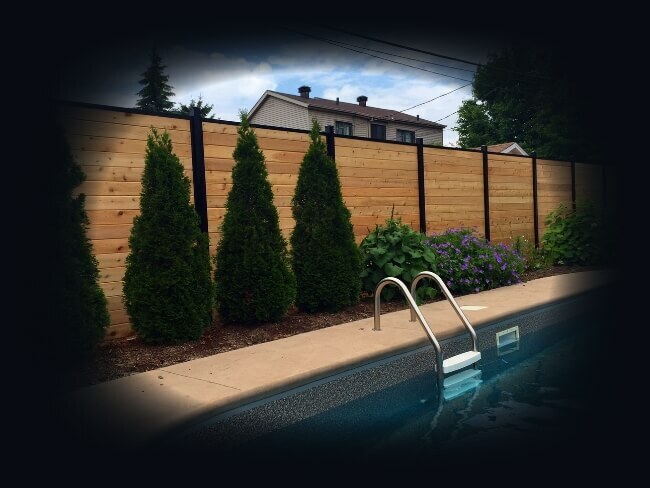 The Canadian red cedar wood fence gives a warm touch and optimizes your privacy in your yard. 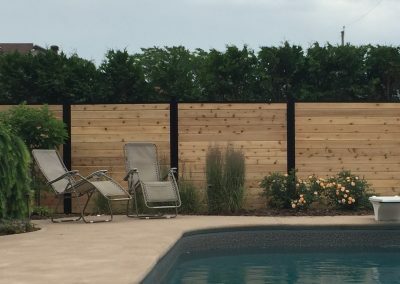 Whether it’s to fence your backyard or to get more privacy for your spa, you will be pleasantly surprised of the therapeutic effect that the wood can release. 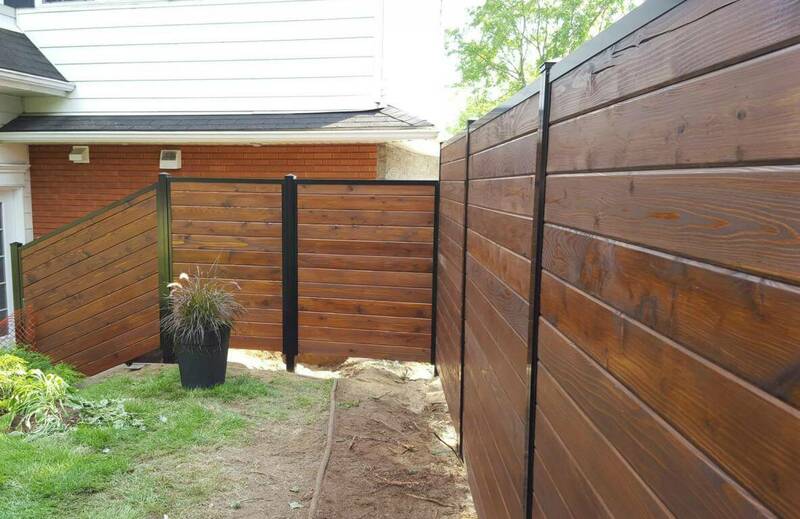 The cedar fence can be personalized according to your taste, it blends well with the aluminium ornamental fence. 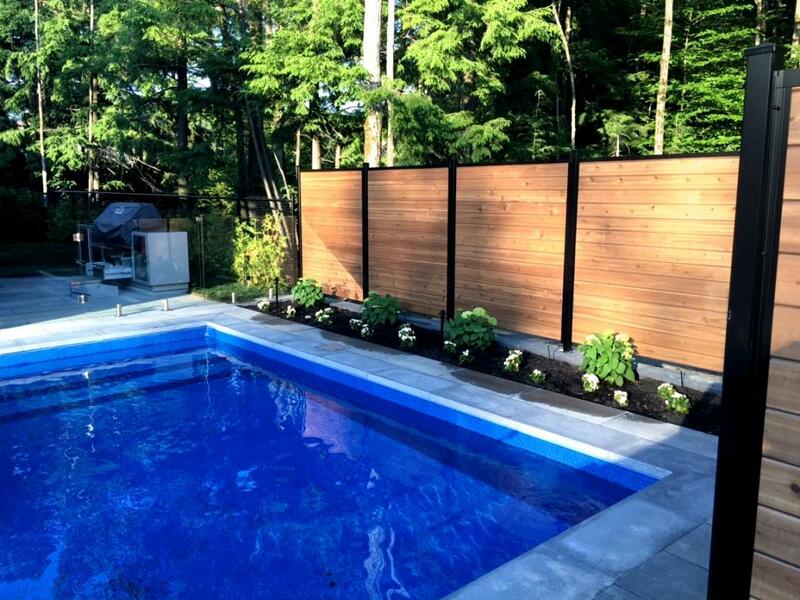 It is low maintenance. 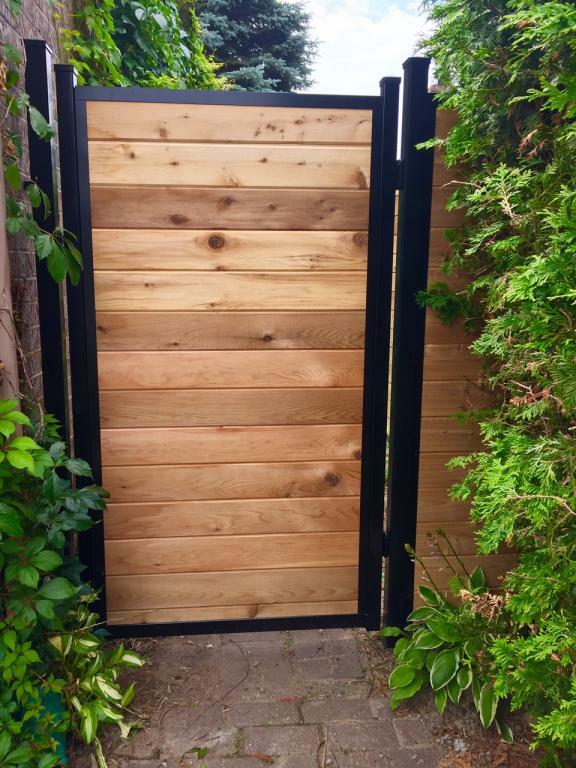 Several colors are available for both the cedar and the aluminium. 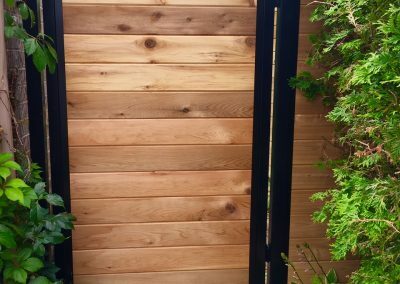 The Canadian red cedar resists very well to the mold, insect damage and deterioration (swelling). 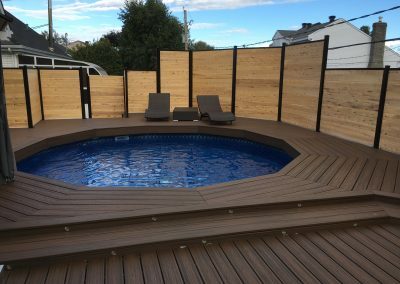 Its grain, texture and beautiful color gives a lighter complexion than the pressure-treated wood. 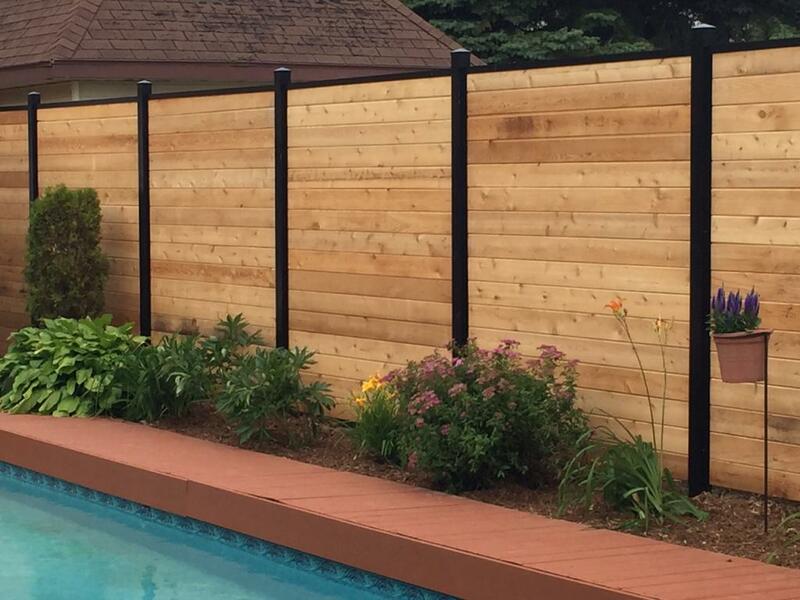 It’s easy to build, this fence requires few materials, since the boards are simply inserted between the posts. The boards are easy to position and adjust precisely. 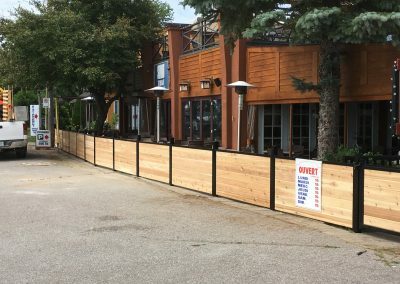 Project and our advisors will be happy to assist you. 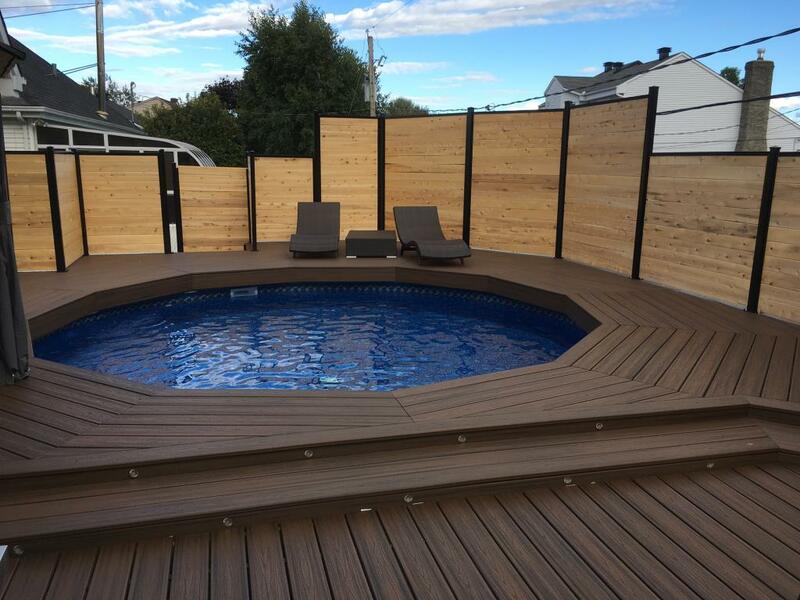 Feel free to visit our “Get a quote” page, to receive a budget price according to your needs, or simply come and meet us in one of our showroom in Terrebonne or Gatineau.